This is the smaller of the two scoreboards that served the crowd. The building was also home to the timekeeper, the umpires’ rooms and the press. 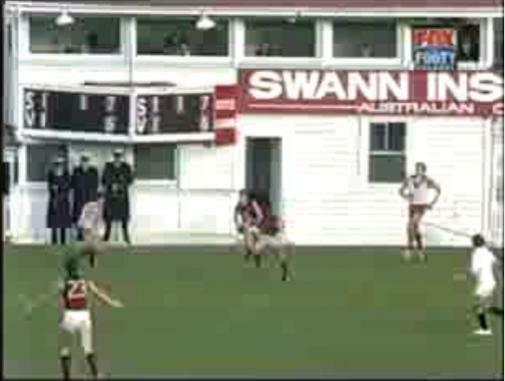 Dean has been following the Swans since he was a teenager. He grew up with future Swans players Fred Goldsmith (1955 Brownlow medallist), Billy Gunn (grandfather of Callan Ward) and Jack Garrick. 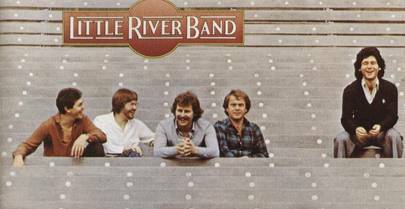 Postscript:Bob Ely, a scoreboard fan from Cohuna and now living in New Zealand, used YouTube to track down the 1981 image below of Lake Oval’s main clock . Thanks Bob. 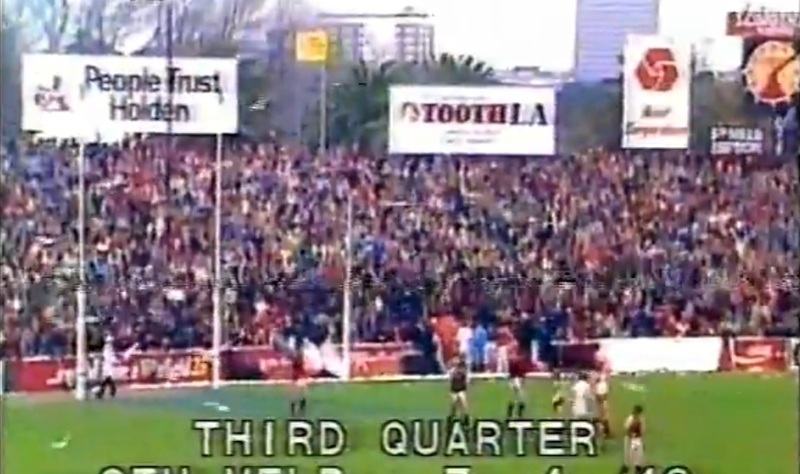 Was the clock attached to the Lake Oval’s larger scoreboard, or was it a stand-alone structure? There may not be many photos of the old scoreboards at Lake Oval but fans like Dean Langford and members of the readandwhiteonline forum have plenty of stories of old-style barracking. Meanwhile, The Holy Boot Football Emporium website has a terrific collection of photos of the old South Melbourne ground. The clock was at the opposite side of the ground from the main Scoreboard. The Scoreboard was located on the Northern side of the ground – or City Side I guess. Wish I had a photo!